This fund, which formally begins trading July 31 and aims to manage $40 million, was founded by three general partners: managing director Joshua Goldbard who said via Facebook message that he is �a high school dropout that gets neurotically focused on things,� and was previously a telecom product manager; crypto trader Kevin Fischer, who is now chief investment officer; and security engineer Apneet Jolly as chief information security officer. The fund strategy is to invest in �philosophically sound currencies,� such as Bitcoin, Ether and Tezos, have an �altcoin weighted basket� that acts like an index and exploit arbitrage opportunities. 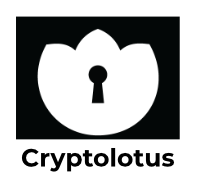 Managing partner at Crypto Lotus, a crypto currency hedge fund, currently $25M AUM. We tend to be highly selective about which ICOs we invest in, and instead are fairly active trading wise. My background is all in computer security � deep expertise in exploit development, incident response, etc. Got my first coins in 2011. To list your Company on our website and make your profile available to Apneet and 7,500+ other VCs and Angel Investors, Click Here.